Just a few weeks removed from a radio talk show appearance in which New Jersey Governor Chris Christie expressed strong reservations regarding the prospects for allowing online gambling in the Garden state, remarks yesterday by Christie suggest a high likelihood he’ll be signing an online gambling bill into law perhaps as early as next week. Christie spoke of the online gambling bill (A2578/S1565) on Tuesday during a news conference at the Lavellette Fire Department. While continuing efforts to secure federal funding to aid victims of Hurricane Sandy was the primary topic discussed, Christie also made reference to the online gambling bill he conditionally vetoed earlier this month. Christie noted that if the NJ legislature approved changes to the bill suggested by him as part of his conditional veto, that “there’s no reason not to sign it quickly” into law. The Wall Street Journal reports that both the NJ state Assembly and Senate are scheduled to reconsider the bill next week, and that if approved by lawmakers the revised bill could be on Gov. Christie’s desk by February 26. Late last year, both houses previously passed an earlier version of the bill by wide margins (more than 85% in favor). Given 45 days to act on the bill, Christie waited until that period had nearly ended before offering his conditional veto. Democrats have already expressed their support of Christie’s proposed changes, with statements from party leaders in both houses indicating such last week. Thus did many believe Christie might be on the verge of vetoing the bill outright, much as he had done with an earlier online gambling bill passed by lawmakers and forwarded to him for his signature in early 2011. That bill the governor vetoed at the very end of the period allotted to him to make his decision. 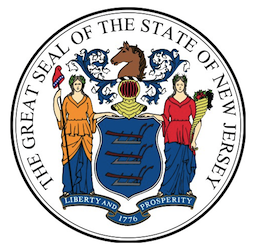 Christie did not, however, veto the bill outright, and instead delivered his conditional veto on February 7 (the last day of the 45-day period), indicating then the possibility of his signing a revised version of the bill that takes into account changes proposed by the governor. Among the changes recommended by Christie were to increase tax collected from online gambling revenue as well as to give the law a 10-year limit so as to enable lawmakers to revisit it later. Christie also suggested extending prohibitions against state workers and others with potential conflicts of interest from casino employment and to require elected officials to disclose connections with any companies that might seek licenses. He additionally advised bolstering the funding of programs for treating compulsive gambling. Should the NJ legislature approve the new bill and Christie sign it into law, New Jersey would join Nevada and Delaware as having approved intrastate online gambling legislation.